Wellington City's Shake-em-on-Downers feature 7 top musicians who present vintage jazz standards with energy and precision. They have "thrilled audiences" and "startled wildlife from Waiheke to Milford Sound," with iconoclastic interpretations of vintage jazz classics. 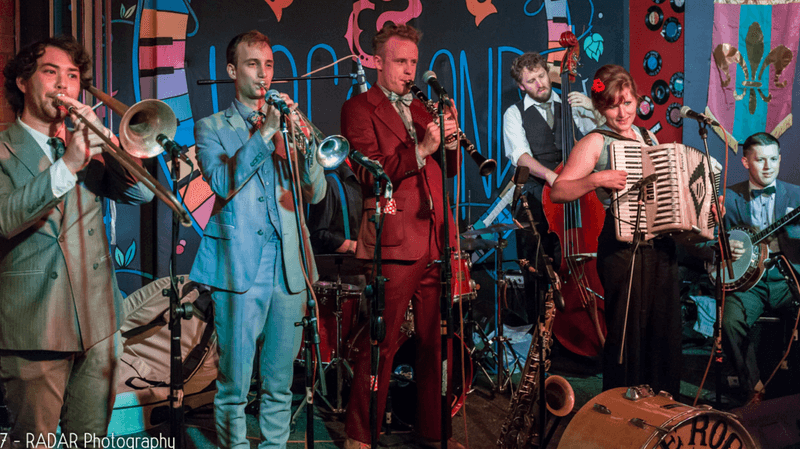 As well as standards from the New Orleans and swing songbook, they also perform raging new compositions inspired by the same era. Described as hot Dadaist swing, the Shake-Em-On-Downers will serve you up a spicy gumbo of musical treats. - Oscar Laven - Saxophone, Clarinet, vocals.